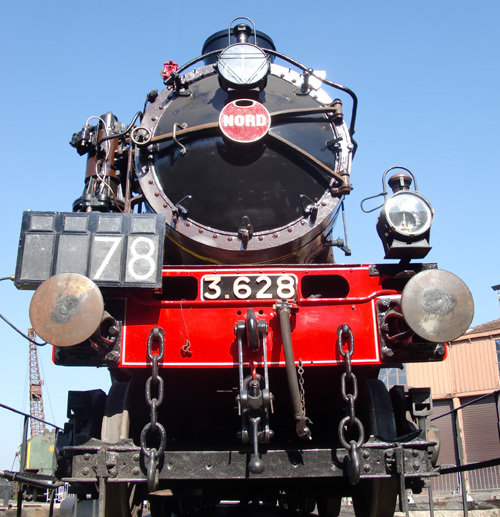 The de Glehn – du Bousquet Nord class 3.513 4-6-0s (230s) first appeared in 1908 and 149 were eventually built. They were du Bousquet’s development of the Midi 1301 class, with greatly improved steam circuits, in some way anticipating Chapelon. The first 25 were saturated as built and had slide valves; the remainder had piston valves and were superheated, the earlier ones being converted later. All were fitted with Lemaître blastpipes. Although designed as mixed traffic engines, they proved exceptionally free-running and capable of hauling express passenger trains. 3.628 (SNCF 230 D 116) was brought to England in the early 1970s and restored to full workng order by a small group of enthusiasts, being finished in Nord chocolat livery and fitted with a Nord macaron on its smokebox door. It spent some time at Ashford before migrating to the Nene Valley Railway (where it actually inaugurated passenger services) until bought by the Science Museum as a unique, working example of early locomotove compound technology. 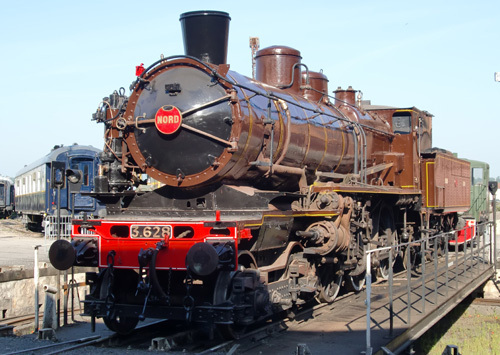 There is one other similar locomotive extant (in the French National Railway Museum – now the Cité du Train – at Mulhouse), but this is unlikely ever to move under its own power since, to cite one major reason, it has no inside motion. At the time of the sale to the Science Museum, every indication was given that 3.628 would form part of the national collection and would, therefore, be preserved in perpetuity. However, a change of management at South Kensington resulted in the locomotive’s being sold to a private owner, an enthusiast and francophile. 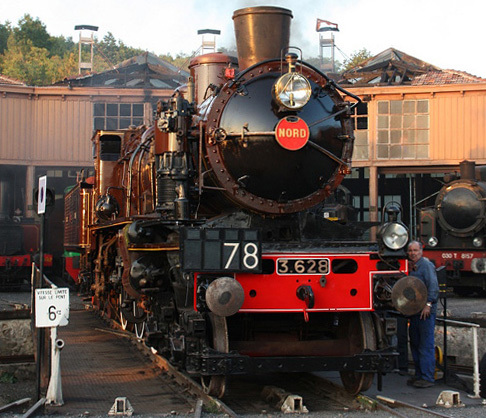 An original plan to repatriate 3.628 to a preserved railway in France was frustated by lack of funds. Contributors should indicate that the money is for the 3.628 restoration fund and members of the SNCF Society should affirm their membership.